Everything you need for successful marketing video production is available under one roof with some of the best staff the industry has to offer. As a full service digital corporate video production company, Dynamic Digital Advertising (DDA) can manage all aspects of corporate video production from initial concept, script writing, and storyboarding, to getting the right actors or models, to shooting, directing, and editing, and ultimately to duplication, design, and packaging. conveys messages to members of your staff throughout the organization and potential clients alike. Whether for internal or external use, DDA’s corporate video production communicates new ideas or concepts, changes in staff or organization structure, as well as appreciation for work well done. captures the atmosphere and discussion in partner, client, or staff conferences, informative seminars, and major company events. DDA’s streaming video production enables executives in remote locations to participate in the proceedings. 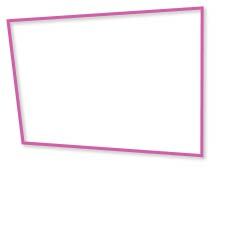 Promotional Video Production serves as a great extension to your promotional campaign. Showcase products and demonstrate services through Dynamic Digital Advertising’s unique and creative corporate video production strategies. Executive Summary Video Production eliminates the need for lengthy annual or semiannual expense reports. Few people actually take the time to read confusing written reports. With DDA’s executive summary video production, members of your staff receive the most pertinent information in a straightforward manner. Training Video Production gives new employees the information they need to succeed in your organization. Dynamic Digital Advertising’s training videos can also be a great way to keep current employees up-to-date on procedure and company policy. Educational Video Production is ideal for teaching people who learn visually. DDA’s videographers can incorporate multimedia graphics, technical demonstrations, and more for an enhanced understanding of a concept. How can you sell the idea to your boss? What are your business or organization goals? Where and how will your audience watch? Is a video the best medium to meet your goal? What do you hope your audience gains from watching? In 1998, DDA invested in digital video cameras, which has allowed us to digitally record broadcast quality corporate videos. Years of experience enable us to provide you with the best video production available. All footage is digitally recorded in-house or on-location for efficient video editing production. This efficient process lowers costs and maintains the integrity of the original version even when converted to other mediums. Dynamic Digital Advertising’s in-house 3D animators can create innovation designs specific to your requirements that can enhance an idea, put logos or images in motion, and illustrate technical processes and operations. We can edit and convert your old VHS tapes to modern CD-ROMs, DVDs, and more so you can keep successful marketing videos running. We are able to compress videos for streaming on the web, which allows a broader audience base to view important corporate messages at a time that is most convenient for them. Dynamic Digital Advertising’s Corporate Video Production. Need a new marketing and promotional plan… or do you want to revise your existing strategy? 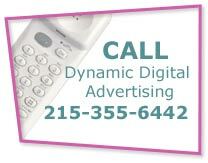 Dynamic Digital Advertising has what you need to make sure that your company thrives in the technological marketplace. Our scriptwriters can generate content that engages an audience and conveys your message appropriately. DDA’s videographers produce broadcast quality videos that work for a range of media applications. When deciding the right digital corporate video production company to present your ideas, consider the one-on-one interaction and the extreme capabilities of DDA. Generate as much website traffic as possible and rank high on all major search engines with DDAs professional web site design and development process that consists of 14 steps including but not limited to goal setting, functional planning, keyword research, pre-launch and post-launch optimization, website hosting, and metrics tracking. Each step is designed to get your website on the first page on search engine results for targeted keywords that directly relate to your industry. What a difference good graphic design makes. Graphic design that is outdated or looks as though an amateur created it typically causes people to become disinterested and dissatisfied. Conversely, professional graphic design that is as aesthetically pleasing as it is functional encourages people to seek more information and perhaps make contact. Dynamic Digital Advertising, a custom graphic design studio, produces high quality graphic designs for all forms of marketing from brochures to websites.